Ghalib co-founded Written Medicine in 2012 after experiencing language barriers with ethnic minority patients with a limited ability in English, while working in hospital and community pharmacies in London. Written Medicine provides healthcare systems in all care settings the ability to print crucial bilingual medical information in English and another language. Some of the bilingual end products are medical information on; pharmacy dispensing labels, discharge summary sheets, e-prescriptions and care plans. Several NHS Trusts use Written Medicine’s solution, including; East London Foundation Trust and London North West healthcare and are actively introducing their solution to markets abroad. 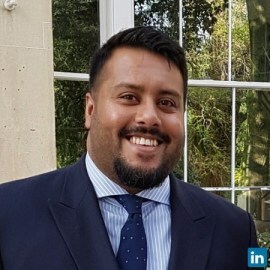 Ghalib has over 15 years of experience working in the pharmacy industry and is a trustee of Medical Information for Ethnic Minorities.